THE SIGHT OF A BRAZIL TEAM in full samba flow invokes something in football supporters that can’t be replicated by any other team. People marvel over Spain’s fluid passing and Germany’s ruthless dynamism but the pure, unadulterated flair that Brazilian footballers possessed over the years appeals to football in its rawest form. From Pelé to Neymar via Romário, Ronaldo and Ronaldinho, every era of modern football can be bookmarked with a genius from Brazil. While the 7-1 demolition at the hands of Germany in the World Cup forced Brazilian football to reassess, a look at the current squad competing at the Copa América in Chile shows an abundance of skill. Neymar, the poster boy, prematurely ended his tournament following his histrionics against Colombia but with 44 goals aged just 23 he is well on his way to breaking Pelé’s record of 77 international goals. Roberto Firmino has begun his international career in lively fashion, scoring four goals in nine appearances, including a vital winner against Venezuela, and has a penchant for scoring no-look goals in a very Brazilian manner. Philippe Coutinho, who will be his teammate at Liverpool next season, continues to go from strength-to-strength and the absence of Neymar will give him a chance to shine in his natural position as Brazil look to progress through the Copa América. There are also the electric feet of Willian and Douglas Costa, who could be Chelsea teammates if José Mourinho gets his way, and the likes of 18-year-old Fluminense playmaker Gerson who is the subject of interest from Juventus and Barcelona among others. Granted, this generation doesn’t match up to the crop of Ronaldo, Rivaldo and Ronaldinho, or Pelé, Rivellino and Jairzinho, but there is still enough flair to keep Brazil’s identity alive. However, when it comes to the Premier League England hasn’t seen the best of what Brazilian football has to offer. There have been near misses, for example Ronaldinho’s failed move to Manchester United. With just a few details to be ironed out before United could announce Ronaldinho’s signing, Sandro Rossell swooped and took the Porto Alegre-born midfielder to Barcelona, where he spearheaded the rebirth of the club as a dominant force in world football. Aston Villa reportedly came close to signing Roberto Carlos before the full-back – to use the term loosely – joined Inter Milan, while Rivaldo nearly joined Sam Allardyce’s Bolton Wanderers in 2004. But in terms of pure skill and excitement, the history of Brazilians in the Premier League is a curiously disappointing one. An honourable mention should be made to Coventry City forward Isaías who was the first Brazilian to play in the Premier League after he joined from Benfica in 1995, although he only lasted two seasons, scoring twice in a forgettable spell. To find the true roots of Brazilian football in the Premier League you need look no further than Middlesbrough. Boro pulled off a remarkable coup when they signed 22-year-old Juninho Paulista from São Paulo for £4.75 million in 1995. Juninho, already a member of the Seleção, was joined on Teesside by former Brazil left-back Branco for the 1995-96 campaign, while midfielder Emerson arrived the next season from Porto. The trio had varying degrees of success in England. Branco, increasingly overweight, lasted less than a year at Middlesbrough before joining MetroStars in Major League Soccer. Emerson lasted longer than Branco but after Boro were relegated to Division One and a £6 million bid from Barcelona was rejected, the midfielder forced through a move to Tenerife. Juninho will always be considered a demigod among Boro supporters after his spells on Teesside. As with Emerson, Juninho left the club following relegation, joining Atlético Madrid, although he returned in 1999, and again in 2002. The impish midfielder brought a sense of fun to everything he did on the field and his return of 49 Brazil caps attests to his ability given he was competing with the likes of Rivaldo and Ronaldinho for a place in the national team. Emerson Thome was the next Brazilian to arrive in England, joining Sheffield Wednesday from Benfica in 1997, and staying in England until 2005, via spells with Chelsea, Sunderland, Bolton, Wigan Athletic and Derby County. Thome was joined by Fumaça, who appeared five times for Newcastle United in the Premier League between 1999 and 2000, and Sylvinho, who rejected the advances of Tottenham to sign for Arsenal in 1999 before leaving for Celta Vigo in 2001. Entering the 21st century and with the success of the Premier League as an international brand Brazilian footballers became more commonplace within English football. Edu followed Sylvinho to Highbury in 2001 after impressing with Corinthians and would play 30 games during Arsenal’s invincible season alongside another Brazilian, Gilberto Silva, who joined from Atlético Mineiro in 2002. Both players were moulded in the Dunga role, preferring to protect their back four than attack the opposition’s box, a theme that would be repeated in many Brazilian imports in the Premier League. Kléberson arrived at Manchester United to much fanfare,after impressing at the 2002 World Cup, however injuries and a lack of adaptation to the Premier League saw him leave for Beşiktaş in 2005. Manchester City’s new found investment saw midfielder Elano and Real Madrid superstar Robinho join the club in 2007 and 2008, respectively. While Elano had been impressing with Shakhtar Donetsk in Ukraine, Robinho’s arrival from Real Madrid for £33 million stole the limelight. Initially Robinho shone, scoring 14 goals in his debut season, but he couldn’t repeat the feat in his second season and found himself back at Santos after just two years. 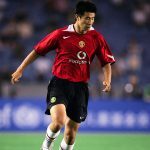 Although his talent and flair was undeniable, the lack of effort and willingness to influence games – particularly away from home – often marked him out as a player who didn’t belong among the hustle and bustle of the Premier League. There is a trend in the Premier League to sign the aforementioned Dunga mould of midfielder, which has become an integral part of the way Brazil set up, although not to everyone’s liking. At Arsenal there has been Edu, Gilberto Silva and Denilson, at Manchester United there was Kléberson and Anderson, Tottenham had Sandro and now have Paulinho, Chelsea have Ramires, Liverpool have Lucas Leiva and Manchester City have Fernandinho and Fernando. It would be too easy and naïve to say that the Brazilian way of football isn’t suited to the Premier League. However, if there is any league in the world were skill simply isn’t enough and hard work is a must, it is the Premier League. Coutinho, Willian and Oscar are a fine example of the modern Brazilian player that can thrive in England, combining raw flair with high work-rate. Regardless of nationality there is no room for luxury players in the Premier League. Take Anderson, for example. No Brazilian import had more technical ability and flair than the former Porto midfielder, but the physical side of his game was severely lacking and now, at 27-years-old, when he should be in his prime, he is back in Brazil with Internacional. While English football has seen some fine Brazilian footballers, and some very poor ones too, it has never been blessed with the samba flair that made the national team so special, aside perhaps from Juninho and Coutinho. Spanish football has been blessed with Ronaldinho, Romário Ronaldo, Rivaldo, Neymar and Roberto Carlos, Italy had Kaká, Ronaldo and Adriano but England is still waiting for that iconic Brazilian player.